I never feel beautiful, and most days I don’t even feel attractive. And I know I’m not alone. I’m guessing that you struggle to feel attractive too. Why is that? Why do most of the women we know struggle with knowing how to feel attractive. I’ll tell you why. It’s because our culture bombards us with messages that say, “This is what beautiful looks like, and you don’t measure up.” Then the images just start rolling and never stop – images of young, thin, blonde, buxom, perfect women. And because we don’t look like them, we don’t know how to feel attractive – and we begin to believe that we don’t measure up and never will. And when we believe the lies about those images, we retreat into feelings of self-doubt, worry and fear. And those feelings begin to affect the way we live and the way we interact with people. Sometimes they keep us from doing things we really want to do or getting to know people we really want to know. It’s crazy and yet it’s entirely predictable too, because the culture tell us over and over that something is wrong with us. But here’s the thing we need to understand – the women we see in magazines, advertisements, and television shows do not actually exist. They’re phantoms, created by tricks of makeup, lighting, and Photoshop! Yet we compare ourselves to them, and decide that we don’t measure up. You’ve probably heard Cindy Crawford’s famous line, “I wish I looked like Cindy Crawford.” Because the real Cindy Crawford doesn’t look like the woman we see in magazines or on television. So let’s stop comparing ourselves to women who don’t exist! We’ll never learn how to feel attractive if our standard of beauty is based on women who don’t really exist. Some years back, the company my husband was working for took a group of us on a trip. I was sitting on a lounge chair by the side of the pool in my swim suit and a cover up, with a towel over my very white legs, all the while feeling incredibly conscious of this and that, and mentally comparing myself with all the other women there; naturally I only saw their positives and all of my flaws. Don’t you want to exude that kind of attractiveness in all of your interactions with people? I sure do. Fortunately, that kind of beauty is available to all of us, because every woman can act and speak and present herself in ways that value herself and other people. We can learn to present ourselves with confidence, which is very attractive, while also promoting, encouraging and lifting up others. 1. Emphasize one thing you like about your appearance. 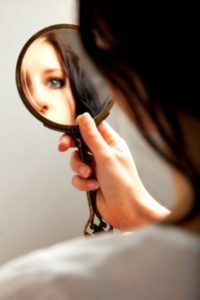 Even though we’re incredibly hard on ourselves, we can usually identify one thing we like about the way we look. I know, for example, that I have nice blue eyes. Maybe you know that you have pretty hair or lovely skin or a good figure or a beautiful smile. Hopefully you like two or three things about yourself, but one is enough to get started. 2. Pick one thing you like and emphasize it. Make up your eyes, get a great haircut, wear a touch of makeup, wear clothes that fit your body – anything that makes you feel good about your best feature. Make this a priority, and make time in your schedule so that you can do it every day. 3. Work on one thing you don’t like about your appearance. For most of us, this is a long list. We hardly know where to begin! But just pick one thing to work on. Maybe your hair is graying – like mine – or you’ve never liked the color. Color it! Maybe your skin feels dry and looks dull. Get started on a skin care routine (it doesn’t have to be expensive), drink lots of water, and eat more fruits and vegetables. Maybe you wear sweats or yoga pants most of the time and feel like a frump. Start wearing clothes that fit and make you feel good. Again, this doesn’t have to cost a lot of money. And if your weight is the major thing you don’t like (as it is for so many women), take control of it and begin working to lose some. Even a 10-pound weight loss can make a huge difference in the way you feel. Focus on making one small, practical change that will help you turn something you feel bad about into something you feel good about. After a while, make another another change. 4. Begin doing one thing to take better care of your health. The state of our health and the way we treat our bodies are closely tied to the way we look and the way we feel about ourselves. If you try to get by with 5 hours sleep a night, your eyes and skin will show it. (Not to mention how bad you’ll feel!) If I eat a lot of processed food, my skin and digestive system will let me know. (Not to mention how bad I’ll feel!) If we go for days (or weeks!) without exercising, our physical and mental health will suffer, which always influences the way we feel about ourselves. So begin this week doing one thing to take better care of your health. Determine which health habit is most affecting the way you look and the way you feel about your appearance, and begin working on it. If you’re not sure where to begin, I suggest making sure you sleep 7-8 hours most nights. After that, begin exercising regularly, sitting less, and moving more. Figure out the one thing your physical or mental health needs most and start doing it. 5. Stand up straight, speak with confidence, treat others well, and act like a confident woman. 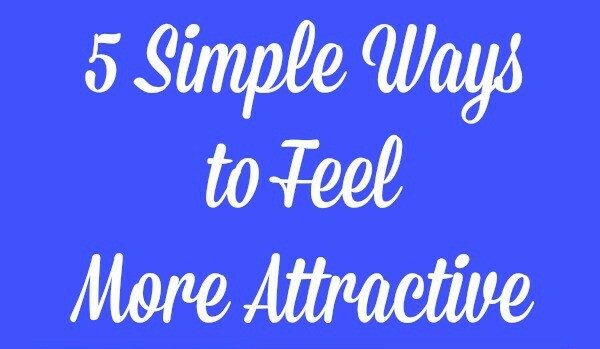 This is critical to learning how to feel attractive. So much of the way others see us, and the way we see ourselves, is perception rather than black-and-white reality. We all know people who seem very attractive, but if you really analyze their appearance, they’re actually quite average. The difference in most cases is the way they perceive themselves and the way they treat others. Confidence is attractive, as is treating others with kindness and respect. (That doesn’t mean letting people walk all over you, which is the opposite of self-respect.) So act confident, even if you don’t feel it. Stand up straight, walk tall, look people in the eye, speak clearly, and generally act like a woman who believes in herself. 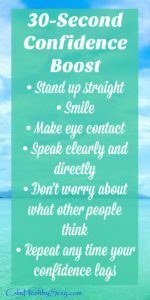 This can be a “fake it until you make it” thing – you don’t have to feel confident to act with confidence! 6. Believe your husband if he says you look good. If you’re fortunate to have a husband who says you look beautiful or pretty or hot, decide to believe him. More than likely, that’s exactly how he sees you. He’s not trying to flatter you in order to manipulate you or get you into bed – he thinks you’re beautiful or pretty or hot! Yeah, he probably knows that you don’t look like the women in magazines, but he doesn’t care. (And he may realize that they don’t actually exist.) So choose to believe him – say “thank you” and accept the fact that he likes the way you look. Learning how to feel attractive is hard. It requires ignoring our culture’s lies about beauty and letting go of things we’ve believed for a very long time. But we can do it, by first understanding the things that really make people attractive and then beginning to take small steps to help us feel more confident in our bodies and ourselves. J at Hot, Holy and Humorous has a great series on learning how to feel beautiful. The biggest thing I’ve noticed makes women feel unattractive (or more to the point ineffective, since beauty in women has traditionally been tied to visibility and worth, a sentiment that unfortunately lingers) is how critical messages are internalized and expressed on a daily basis. The endless chatter of paralyzing messages from society and the attitudes of the people around you, how hostile someone is treated if she goes against the grain. Messages that suggest a woman is powerless, a pariah, if she doesn’t fit a particular criteria and a bar so high that no matter what she does she will never measure up. Women are set up to compete with each other for scraps compared to what men take for granted and to fail in every respect from motherhood to public perception. The media is blamed a lot but it’s as much a product of society as an influence of it and I find women with low self esteem far more toxic than anyone who stands to benefit from keeping women living in fear because of the keep your enemies closer factor, I wish all women were as open minded as the author so they could see another woman’s strength as a more healthy and achievable aspiration that what women are generally offered but too many instead see it as a threat, or at best put conditions on what is and isn’t an acceptable way for a woman to express herself. I find it a little sinister that both society and the media keep womens self confidence off kilter as a way of controlling their behaviour (whether it be how they spend their money or how they engage with society) and it does make me think women are far more powerful than they realize, else why so much effort toward controlling them? Maybe it’s because women have always been utilized as the patriachal focused moral guardians of society and it has run counter to their best interests, if the tide were to turn it would upend where power is held in society and by who. It’s not just beauty that is judged but anything else that takes effort (as so much “effortless” beauty often does) and I find it helpful to see a bigger picture where even when I fail in the beauty stakes I have plenty more to draw from that will help me achieve the same goals in a way that is less subjective, more relyable, more individual and has more longevity. This is what I see the woman mentioned in the story as having mastered, she’s self assessed rather than mob approved which gives her confidence, depth and authority all women have access to if they choose to step outside the broken record of what women *should* be and claim it. The kind of self confidence that comes from a lightly worn self knowledge is hard to shake and is very grounding for the people around you, so much is uncertain these days especially it’s soothing to see something so certain. The toxic hypercritical mindset is not just around beauty and not just around women either, I find it helpful to see anyone who runs their own race as necessarily clashing with societies weak points at times and the way that pushes others to question their assumptions as evolving society. 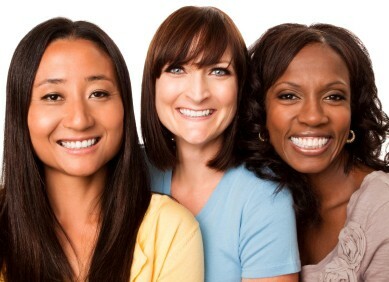 I don’t see a woman’s self esteem as individual or collective but as nessasary for a healthy society. I suffer with quite severe body dismorphia. Reading this has helped put things into perspective. Body image is such a huge thing for so many women (and men), social media and magazine don’t help. Hi Ellie – I’m thankful that the article helped you put some things into perspective. Body image is a huge problem for so many women. I hope to keep turning our thinking and conversation about it in a more positive direction.